what's the vision for this thing? so glad you asked! i want people to feel as if fairies or gnomes could hop out at any moment. not that those things will actually happen because that would be weird, but that is the general emotion i want to evoke. however i would totally pay a hundred bucks to have bunnies hop down the aisle ahead of me, so if anyone knows a bunny guy let me know. what does this mean? lots of ferns and moss, craftsman style font on recycled craft paper, boxwood and eucalyptus garlands, and a small army of flower girls in coordinating white cotton eyelet dresses. 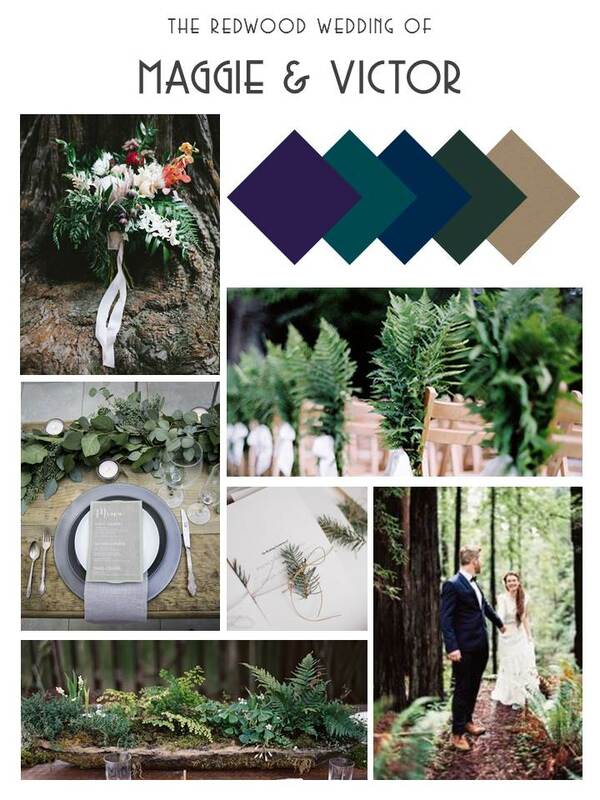 speaking of colors, i'm calling our scheme "midnight in the forest". it consists of: kenyon purple, eagles teal, michigan blue, packers green, and recycled craft paper.